If you live in a northern climate, your childhood morning breakfast bowl was doubtless filled with a warm and comforting serving of Cream of Wheat, at least on some chilly mornings. 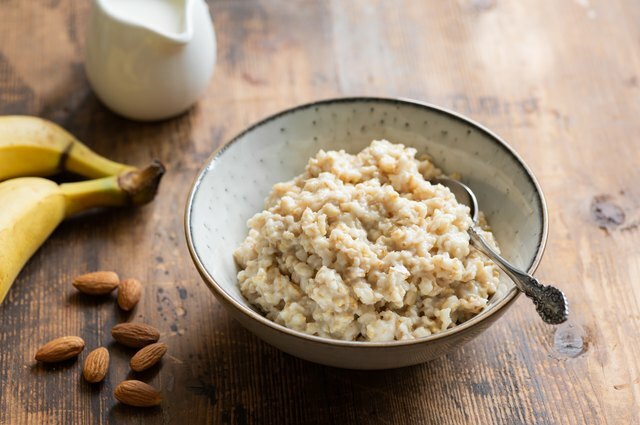 This wheaty porridge rivals oatmeal for the hot cereal of choice in countless kitchens across the country. While most people are familiar with Cream of Wheat and its long list of flavored varieties, the actual ingredients in the cereal are a bit of a mystery to many. Is it like cornmeal? Is it farina? What's the difference between oatmeal and Cream of Wheat? Cream of Wheat is the brand name for one manufacturer's farina cereal. 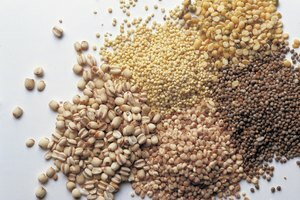 It's made by milling the wheat grain and using the endosperm and wheat germ from the grains. Since most of the nutrients in wheat are concentrated in the wheat germ, this makes Cream of Wheat and other farina products nutritional powerhouses. It's a great source of anti-oxidants and vitamin E as well as calcium, iron and B vitamins. The milling process does take away a good part of the grain, so Cream of Wheat doesn't include much fiber. That's easy to fix, though, by adding high-fiber ingredients during the cooking or flavoring process. Oatmeal, on the other hand, begins with hulled oat grains, or groats. Depending on the desired finished product, manufacturers will either grind, steel cut, or roll the oats to produce the finished cereal product. Different types of oats will produce oatmeal with different textures: either chunkier, grittier or creamier. Oatmeal has a more distinct flavor than Cream of Wheat, although they're both great canvases for creative breakfast flavor experimentation. Warm, creamy and satisfying, Cream of Wheat is the ultimate winter breakfast dish. The mild flavor makes this cereal the perfect base for adding different flavor profiles. There is a whole world of creative dishes that can be made using Cream of Wheat, but the original hot breakfast cereal begins with the most basic of recipes. In a medium saucepan over medium heat, stir together the water and salt. Remove the pot from heat and slowly stir in the Cream of Wheat granules. In the same pot over high heat, stir the contents until it begins to boil. Turn the heat down until the cereal simmers. One of the most popular variations is to use milk instead of water. If you choose this method, heat the milk to a simmer, never a boil, before stirring the Cream of Wheat into it. Other common techniques are to put a dash of cinnamon, a teaspoon of vanilla extract or a cinnamon stick into the water or milk when you begin cooking or to use half water and half milk. Since Cream of Wheat has such a bland and basic flavor, it's the perfect foil for experimenting with a wide variety of fanciful dishes. No matter what is your favorite flavor profile, you can create a tasty Cream of Wheat dish to complement it. If you have a sweet tooth, try adding brown sugar, agave, maple syrup, nutmeg and cloves or plain sugar. If you love fruit flavors, this is the perfect dish to experiment with flavor combinations. Try applesauce or cooked pears, cranberries, cherries, berries, bananas or plums with or without cream. Try a tropical touch with pineapple, mango, tangerines and coconut. Go a little nutty by mixing in peanut butter, chopped walnuts or pecans, bits of mixed nuts or a spoonful of Nutella or another hazelnut-cocoa spread. If you're a cheese lover, you'll really enjoy Cream of Wheat on the cheesy side. It's the perfect backdrop for any cheese, from basic cheddar to artisan cheeses like Wensleydale with cranberries or herbed goat cheese. Up your protein intake and feed your inner carnivore by stirring in a variety of breakfast meats. Choose from sausage, crumbled bacon or chopped ham and experiment by stirring in a touch of maple syrup for a tasty accent. Once you've tried a few basic flavors, you might want to get even more creative by going international. What's your favorite cuisine when you go out to eat? You can use those flavor profiles to turn a basic bowl of Cream of Wheat into an international breakfast treat. If you love Mexican food, stir in black beans, corn, salsa and Monterey Jack cheese. For a Greek flavor, try spinach and ricotta cheese with or without a touch of lemon. For an Asian touch, add a bit of teriyaki sauce along with some chopped vegetables. If you're ready to get in touch with your inner child, stir in some peanut butter and jelly for the ultimate in comfort food. 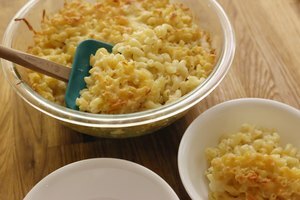 Such a healthy and hearty basic staple was bound to spark the imaginations of countless cooks. Cream of Wheat isn't just for bowls of breakfast anymore. It's now a creative ingredient in a wide variety of savory dishes and baked goods, making it a versatile addition to any good cook's kitchen. Enjoy these creative Cream of Wheat recipes! In a heavy saucepan over medium heat, combine the water, butter and salt. Heat until the water is simmering and the butter has melted. Pour in the Cream of Wheat granules while stirring constantly. Allow the contents to cool. Beat the egg and mix into cooled contents. In a heavy saucepan over high heat, heat remaining water until boiling. Drop teaspoons full of Cream of Wheat mixture into boiling water. Using a slotted spoon, remove resulting dumplings when they float. Divide into 4 bowls and pour hot broth over dumplings. In a large mixing bowl, whisk together the Cream of Wheat granules, sugar, flour, baking powder, salt and cinnamon. Add the milk, egg, oil and vanilla. Pour the batter into greased muffin cups. Bake for 13-15 minutes until the tops spring back when lightly touched. Who doesn't like to sneak raw cookie dough once in a while? You might be leery of this treat because of the possible dangers posed by the raw eggs inside. This creative recipe gives you the same flavor and texture without the ick factor. In a large mixing bowl with an electric mixer, beat together peanut butter, brown sugar, butter, bananas and vanilla extract. Add Cream of Wheat granules, flour and baking soda. Scoop into container with tight-fitting lid. Store in refrigerator and serve by the spoonful. 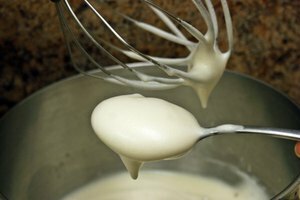 In a mixing bowl, whisk together egg, milk and vegetable oil until well mixed. Stir in pancake mix and Cream of Wheat granules. In a greased frying pan, ladle batter onto surface. Cook until edges are dry and surface is covered with bubbles. Flip pancake and cook other side until brown. Serve them with butter and maple syrup, yogurt and honey or fresh fruit and whipped cream. This filling bread is crumbly like cornbread with a slightly sweet taste. In a large mixing bowl, stir together Cream of Wheat granules, flour, sugar, salt and baking powder. In a medium mixing bowl, stir together egg, milk, vanilla extract and vegetable oil until egg is well beaten. Mix until all dry ingredients are moistened. Pour into well-greased loaf pan. Bake for 30-35 minutes until loaf is golden brown. Prebake pie crust according to directions. In heavy saucepan over medium heat, stir milk and sugar and heat until bubbling. Sprinkle in Cream of Wheat granules, stirring as you add. Add beaten egg yolks one at a time. In a small, chilled bowl, beat egg whites and salt until fluffy. Fold into Cream of Wheat mixture. Bake for 10 minutes, then lower oven temperature to 350F and bake for 25-30 minutes. Remove from oven when knife inserted in center comes out clean. Overnight oats are all the rage in breakfast dishes, but you can create the same type of convenient meal with Cream of Wheat. In a medium bowl, mix together Cream of Wheat granules, water, salt and seasoning. Pour mixture into the crock of a slow cooker. Cook on low heat for 8-10 hours or overnight. The result is a great, hot breakfast that is all ready when you wake up, tasty on its own or ready for every family member to customize with their favorite flavors. Multiply this recipe by as many people as you have at your breakfast table. The directions are the same whether you're cooking for one or for a crowd. SF Gate: What Are the Health Benefits of Cream of Wheat? Extra Crispy: What Is Cream of Wheat, Exactly?